The Doe Fund was founded on one simple premise: work works. The Doe Fund is a nationally acclaimed non profit organization that provides economic opportunity; transitional, affordable and supportive housing; and comprehensive social services to underserved populations, including people with histories of homelessness, incarceration, poverty, substance abuse, and HIV/AIDS. Our flagship residential and transitional work program—Ready, Willing & Able—integrates paid work, occupational training, and holistic supportive services to facilitate an individual's return to mainstream society after homelessness or incarceration. 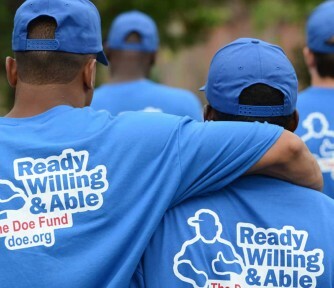 Since its inception, the New York City-based Ready, Willing & Able program has served more than 23,000 men. The enduring principle by which we abide, “providing a hand up, not a hand out” is as central to our mission now as it was in 1990, when George and Harriet McDonald launched Ready, Willing & Able (RWA) with one 70-bed building in Brooklyn. The Doe Fund has since added two additional RWA residences, becoming one of the nation’s premier providers of workforce training. Have experience with The Doe Fund ?